What is the role of playful learning in the field of early childhood education and elementary education? Can joy of learning be generated with the help of play and technology? What kind of learning research is conducted in this field? 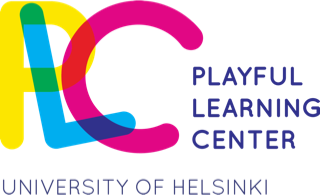 How do the University of Helsinki’s Playful Learning Centre and companies focusing on learning solutions collaborate? These questions will be discussed from several viewpoints at the Play and Learning: How to innovate new learning solutions? Seminar at the University of Helsinki on 16 September. We invite you to hear more and discuss about playful learning, and to see how co-operation between the University of Helsinki and companies focusing on learning solutions works. The seminar is organised in cooperation with University of Helsinki and Rovio Entertainment Ltd.
14:45 Panel discussion: Is learning fun and should it be? Peter Vesterbacka, Mighty Eagle Special Projects, Rovio Entertainment Ltd.
We will send personal invitations to the seminar. We reserve the right to reschedule the event or any part of it.